People are spending an increasing amount of time preparing healthy, tasty meals from fresh ingredients. 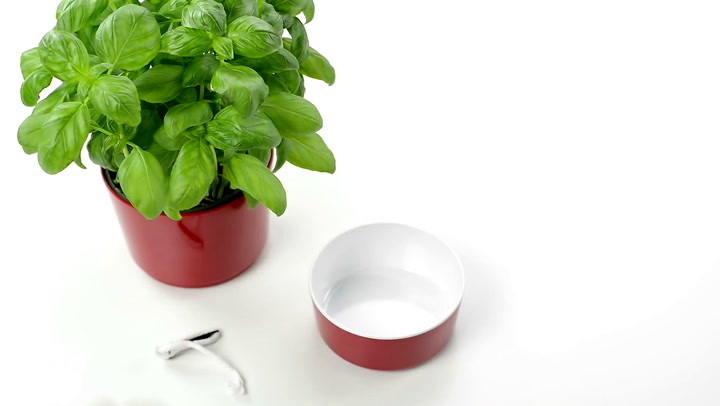 The hydro herb pot offers you the perfect opportunity to keep your herb plant nice and fresh in your own kitchen, ready for your next dish. The large size and special hydro system will prevent your fresh herb plant from drying out as the plant's roots will take up the exact amount of water they need through a special hydro cotton cord. View more from Novel and Unusual Gifts, Planters, Indoor Herb Planters & Keepers, Garden Planters, Mepal Storage. This is a great little pot! My basil is growing like it's nobody's business! It looks great and the quality of the pot itself is great! It makes a great feature in the kitchen too. Neat and practical color. I'm busy replacing all my pots with this type of product. Was actually surprised at how well it works considering it is such a simple concept. This pot is great! Such a clever concept and works well. I will be buying more soon. My herbs are growing beautifully. This is a great little pot, I haven't actually grown anything yet, but really like the idea behind it and I'm quite happy with the build quality and colour.